Summary (from Goodreads): Only together can they survive. Engelsfors. A beautiful name for a scrubby little town in Sweden where six girls have just started high school. They have nothing in common -- except they are all hunted by an ancient evil. The autumn semester has just started when a student is found dead in one of the school toilet cubicles. Everyone suspects suicide. Everyone except those that know the truth. One night, when a mysterious red moon fills the sky, the girls meet in the park. They don't know why or how they were brought there but they learn that they need each other in order to survive. They are told that they are witches. An ancient prophecy states that they are The Chosen Ones. From this day on, high school is a matter of life and death. They must learn how to work together despite their differences and they have to master the forces that have awakened within them. Time is running out. Something is hunting them and if they don't find it and defeat it, it will kill them. 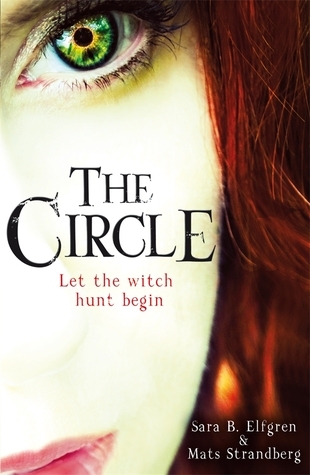 Final Thoughts: If you're looking for a great Autumn read or just love a good paranormal YA mystery, check out The Circle. This book sounds so awesome! How have I not heard of it before?! I love plots that have a slow buildup as long as it delivers something big in the end! Awesome review :) I'm definitely adding this to my reading pile!